Bedtime (or anytime!) stories on Bilal, the companion of the Prophet (s), and other events from the lives of the Prophets, Imams and companions. Advice for parents, supported by the Hadith and Quran, on the upbringing and training of Children. A biography and stories from the life of Bahlool, the companion of the 7th Imam (a), who in order to hide his love for the Imam acted as if he was insane. Biography of the companion who took revenge on the killers of Imam Husayn (a). Presenting children with traditional majaalis (lectures) of the twelve days of Muharram. Short stories about the lives of the Ahlul Bayt (a) and their noble companions. A small selection from the great collection of speeches, sermons, letters, and sayings of Imam Ali (a). Short passages with pictures. Moral stories from the lives of the prophets, the Ahlul Bayt, and their companions. Includes topics such as sincerity, hope, altruism, and independence. Simple accounts of good morals and behavior, God's love, parents, and how to be a good Muslim. A picture book with an abridged text of the original book 'Jouney to the Unseen World' in simple English, which discusses the circumtances of life after death. Biography and character of the 2nd Imam (a). Some selected Islamic stories from the Persian Book Dastan-e Rastan vol. l & 2. Short lessons for children on different aspects of Islam, including belief in God, the Prophet and the Imams, as well as prayers, morals, and good behavior. Moral stories from the lives of the prophets, the Ahlul Bayt and their companions. Includes topics such as forgiveness, intellect, justice, and worship. Moral stories from the lives of the prophets, the Ahlul Bayt, and their companions. Short introductory summaries of the various systems involved in the governance of a nation according to the Islamic perspective. Biography of the uncle of the Prophet (s), Hazrat Abu Talib (as). A concise introductory text about the appropriate behaviour of Muslims and their conduct with others in society. The present booklet presents in a short and concise manner the rights of the parents and the rights of the children. An interactive presentation for youth of all ages which tries to get kids to ask questions such as Why are you here? Why were you created? What is the goal of life? And Where are you going? Simple passages on Islamic beliefs about God, Prophethood and the Day of Judgement. The second book of the historical series for children pays attention to the wile character of Yazid the son of Mu'awiyah and the amazing character of his son Mu'awiyah. This booklet aims to teach children all about screaming and the effect that this may have on the people around them. This booklet uses pictures and words to describe situations in which we might be self-conceited and how this may affect the people around us. A creative and useful way to teach students (and adults!) how to make effective posters that appeal to others. Provides tips on titles, layouts, graphics, letterings, editing, and much more. This book is a compilation of lessons children learn that connect them both to the science and religious fields of knowledge. Abd al-Malik ibn Marwan was one of the Muslims who used to get upset if someone killed an ant ascending to power but after taking power he spent his life killing Muslims. Book one of the historical stories for children series describes in short the personality of one of the most bloodthirsty governors of Iraq and Iran. His name was Hajjaj ibn Yusuf ath-Thaqafi. Abu Sufyan and Abu Lahab were the two uncles of the Prophet (S) who most opposed the Prophet (S) and his prophethood. Mu'awiyah was the first king to rule at the beginning of the Islamic era. He was the founder of the reign of darkness and corruption. Monotheism for young adults is a very comprehensive book which sheds light on the issue of “Tahwid”. 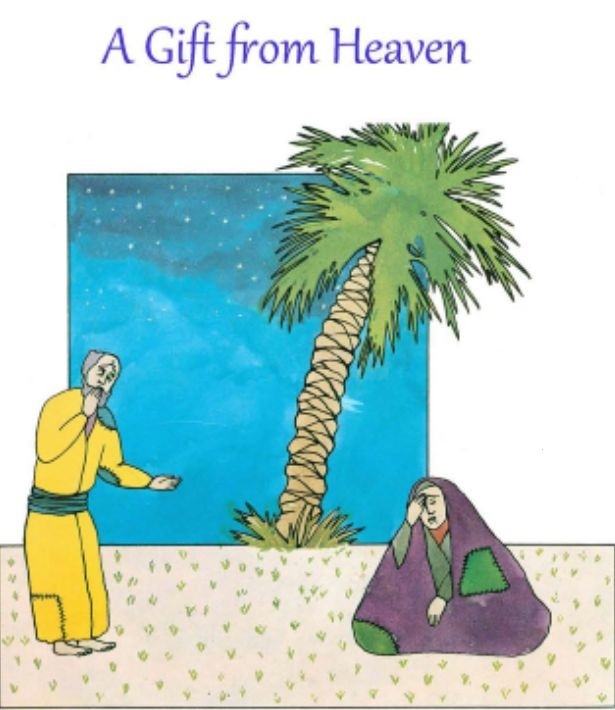 The book contains a dialog between two friends, Mohammad and Mehdi regarding Monotheism. Bilal was a thin young boy from Ethiopia. This booklet aims to teach children by using pictures and examples all about disobedience towards parents and its effects on themselves and their parents. 'Somaiyeh' is a wonderful book for children to learn to appreciate all that they have been given, and to understand the Wisdom of Allah (s.w.t.). There are few children Islamic books and the present one is an amazing depiction of the events that lead to the battle to save the holy Ka’baa' in the time known as The Year of the Elephant. Throughout the world there are not many Islamic books written for children's benefit and education. Benefaction is one of the oft repeated issues in the verses of the Holy Qur'an. A wonderful story underlying the asceticism and good nature of Imam Ali (pbuh) and Imam Hasan ibn Ali (pbuh) and how generous and humble their behaviour used to be.